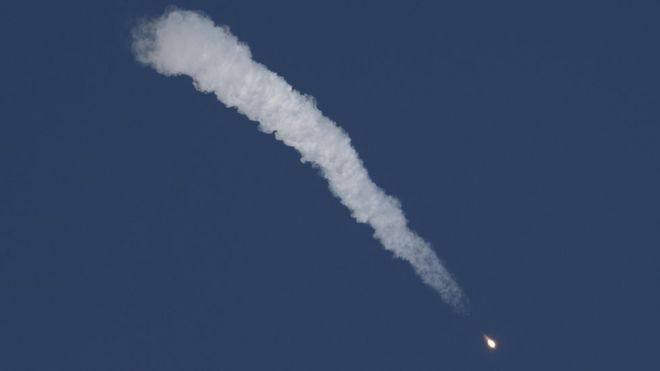 A capsule carrying the two crew members of a Russian Soyuz rocket that malfunctioned on lift-off has landed safely in Kazakhstan, the BBC reports. Russian Cosmonaut Alexey Ovchinin and US astronaut Nick Hague are reported to be “in good condition”, both Nasa and Russian media said. Search and rescue teams are now en route to the landing site. The rocket had taken off for the International Space Station (ISS) when it suffered a problem with its booster. The crew had to return in “ballistic descent mode”, Nasa tweeted, which it explained was “a sharper angle of landing compared to normal”. The Soyuz rocket had taken off at 04:40 Eastern time for a four-orbit, six-hour journey to the ISS. Mr Hague and Mr Ovchinin were due to spend six months on the station working on a number of scientific experiments.